My friend Dave is into miniature games the same way I’m into board games and RPGs. 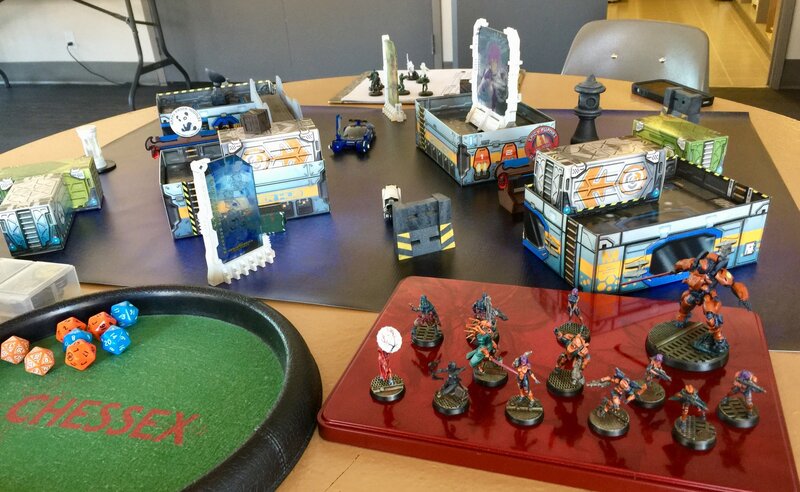 He brought out his demo setup for Infinity, which always looks so cool that, when I see his stuff, I start thinking about diving into minis. It doesn’t help that he is a really great painter, and all his models just look gorgeous.